February 14 isn’t just for lovers – it’s also for book lovers. So put away that chocolate (or gulp it down quickly) and pick up a book! Valentine’s Day is International Book Giving Day, a day dedicated to getting books into the hands of as many children as possible. The books can be new or used, and the aim is to spread the love of reading to the next generation. This is a great way to get kids you know into the spirit of giving and reading. Pick a place where you know kids get stuck waiting, and where boredom may be a problem. Doctors’ and dentists’ waiting rooms are ideal. Choose a fun book and surreptitiously leave it lying around where a kid can pick it up. 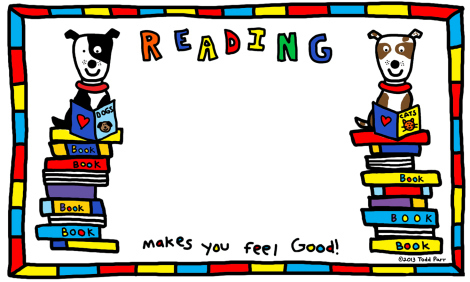 You can donate children’s books to schools, libraries, children’s hospitals or shelters. There are also many international organisations who deliver books to children in developing countries, such as Books for Africa, Book Aid International and Room to Read. Here in Australia we also have the Footpath Library and the Indigenous Literary Foundation. Visit their websites to find out how you can support them. download templates to put in the books you donate. Or you can forgo all this and simply give a book to someone who’ll enjoy it! Do you think you’ll take part too? Let me know your thoughts in the comments section! I’m very happy for you to reblog this, Susi. I think you just click on the reblog icon that should appear in the black bar at the top. Thanks! Thanks Stella. The only glitch is that in your first paragraph the apostrophes come up as ? and I can’t get in to edit. I’ll have to research that as it’s bugging me like crazy. You’ve informed me too. This idea is like having dessert. Christmas is the main meal – I love giving books as Xmas presents – and now Valentine’s book giving is the added pleasure. I wonder if any of the books I gave in December have sequels? I like the idea of giving books that day. I’m not a big Valentine’s Day person so it suits me well. In a funy way I was brainstorming a Valentine’s blog post sharing my favorite love stories books. As always, great post, Stella. It’s a great thing to do, isn’t it? I hope you write your favourite love stories post – I’d like to read it! I had never heard of this February 14th tradition – until I read this blog by Stella Tarakson, telling me how to ‘spread the love’. I noticed last summer that there was a book giveaway box (a repurposed newspaper box) on Monkland Ave. in front of the Ben&Jerry’s store, filled with old books that were there to be taken. Anyone can put a book in; anyone can remove one. The door has no lock and it’s not an honour system- you can do what you want with the book. It’s the anonymous Book Giving Day box, for those too shy to give a book to someone they know. That’s a great idea, thanks for letting us know! I wonder if there are any more like that? Thanks again! I hadn’t heard about this one. It is, isn’t it? And we’re talking hard copy books, too! 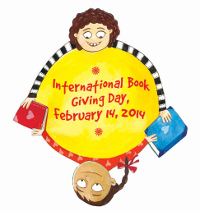 Pingback: Which book will you share on International Book Giving Day?